Fruit beer is a style that takes on a lot of different meanings. It also gets a pretty rough reputation from beer-to-beer and person-to-person. I’ve run into people who claim they do not like fruit beer as they are finishing pint after pint of an IPA with an apricot addition or something similar. It is another style that many people just do not fully understand. To truly get a grasp on this “style,” you must really have a base understanding of all the other styles. You must understand the nuances of the listed style and see how the fruit addition either complements or contrasts the base beer. What is important to judging and brewing a fruit beer is first taking the base beer into consideration. You cannot have a good fruit beer with a bad base. One thing that should be considered with any fruit additions to a style of beer is that some combinations may work really well, while others do not make very good beer at all. While in the 2008 BJCP guidelines, Fruit Beer was a catchall for any beer brewed with fruit that wasn’t already classically defined, the 2014 Draft Guidelines break Fruit Beer into three subcategories. Fruit Beer, Fruit and Spice Beer, and Specialty Fruit Beer essentially account for any variation of fruit additions that can be made. In subcategory 29A (Fruit Beer), what is really important to a fruit beer is overall balance. That is not to say you cannot have a big fruit flavor in your favorite style of beer. What it means is that the fruit should not overwhelm the character of the original beer you are trying to brew (though you need to take into consideration that certain elements of a beer will take a different form with the addition of fruit.) Your bitterness may seem different, your malt character might be a touch muted or accentuated, your hops and yeast can also become a different animal. Judging this style can be tricky based on these facts. You have to understand how the fruit addition will play in the finished product. The biggest thing that you want to avoid is the addition of fruit to where its character becomes artificial. In 29B (Fruit and Spice Beer), we have the same characteristics of a fruit beer; the colors in lighter beers can mimic the fruit to a degree. The fruit is evident in the aroma—though the intensity of said aroma can vary or be nondescript—as well as the fruit flavor in the beer. But we also get an addition of spice to accentuate the fruit and base beer style. This can lead to a number of harmonious marriages that awaken a new sense of lust on the palate. This subcategory also shares a bit of space with 30A, SHV Beer, so take into consideration how you would differentiate a beer placed here, vs 29A or 30A. Subcategory 29C gets a little complex. 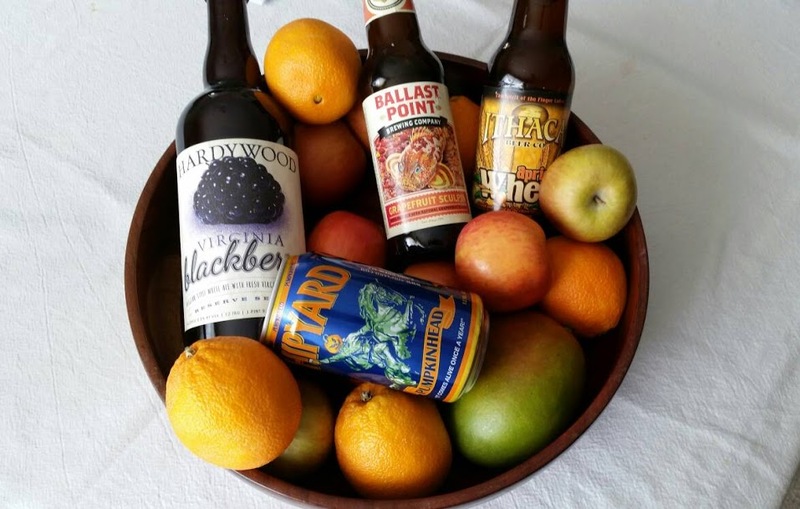 What is a Specialty Fruit Beer? Isn’t a fruit beer a specialty all in its own? Well, if your fruit beer has an additional process or ingredient added, such as the addition of honey or brown sugar, this is where your beer belongs. Though, if you cannot pull out what makes your beer fit into this category, despite what your recipe says, throw it into 29A for best results. Your addition of invert sugar may sound good on paper, but if it fails to come through in the final product, an otherwise good beer may be discounted for not living up to expectations. Fruit can really bring out some interesting characteristics in beer. It can brighten up dull flavors and bring a new layer of complexity to already great beers. Adding fruit can prove difficult at times, and some fruits work better than others. Some fruits work well in one style but not so well in another. There is a wide range of enjoyment that can come from doing something so basic as combining a few of your favorite things, but going over all of that is better suited for another time. Old Ale…what is it? A beer? Old beer? Old IPA? English Barleywine? Small Stouts? A beer at all? Dark & malty? Sweet & sour? The basis of the IPA we know today? In the 2014 BJCP Draft Guidelines, the text is cleaned up a bit, but reads essentially the same. There has been a better definition as to what characteristics are acceptable, even if they may normally be considered faults. Some of the commercial examples that are on the market today taste amazing, but they miss out on key characteristics of the style. The Old Ale is a somewhat historic style. Ales of this magnitude were typically brewed for special occasions and used the best ingredients that brewers could get their hands on. At this time strong ales were a direct representation of the best beer a brewery could make. They were often preserved for special occasions: weddings, anniversaries, and even coronations. Some of these beers were put into casks and cellared for quite a long time. These beers came to be known as “Old”, “Stale”, “Stock”, or “Keeping” ales. Some versions were just aged Mild Ales from a time when a Mild was of considerably higher alcoholic strength. These versions of Stock Ales were often blended with young mild ale at the bar to suit individual consumer taste. Some of these beers would pick up the character of spontaneously fermented ales; notes that are associated with other well-known styles that were wood-aged and “Lambic-like.” A way some brewers would distinguish their Old Ale from other strong ales was by the introduction of adjuncts. Higher proportions of sugars, molasses, treacle, or invert sugar would be added along with ingredients such as flaked barley, wheat, or maize to enhance the body of the beer. There are a few out there that say you can’t make an Old Ale without treacle. Others think that it only lends a distinct flavor profile in the finished beer and it is not required for a great example of the style. The 2014 Draft Guidelines make no specific mention of treacle as a required element. However, what they do point out is that an impression of age is a key factor, regardless of how the brewer decides to interpret that. Between the two versions of the guidelines, the Old Ale has just been better defined, not changed. The only notable difference is the OG has been adjusted a few points, and the ABV as well to stay in line. Hopefully the clarification of the style will lead everyone to further enjoy Old Ales and lead both brewers and drinkers to branch out and try something new. In the words of the late Michael Jackson, “It should be a warming beer of the type that is best drunk in half pints by a warm fire on a cold winter’s night.” Consider that the next time you are looking at bottles on the shelf or deciding what style you want to brew.